FRESNO, Calif. (KFSN) -- Fresno County Sheriffs Property Crimes Unit and the Ag Task Force have arrested two men who attempted to steal a brand new riding lawn mower. According to authorities, on Wednesday deputies were called to a home located near the intersection of S. Cedar and E. Lincoln Avenues in Fresno. 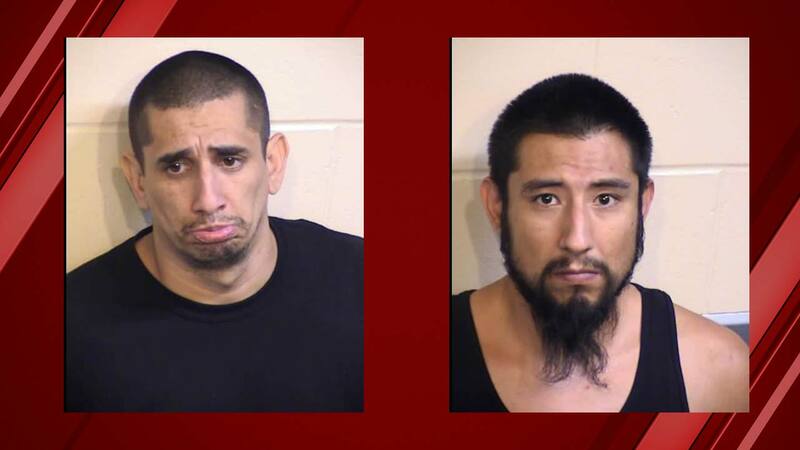 When deputies arrived they found a door kicked in and then spotted the two suspects, identified as 38-year-old Bernard Gollette of Fresno and 33-year-old Augustin Carrillo of Modesto, attempting to steal the lawn mower. Deputies took Gollette and Carrillo into custody. Gollette has been booked into the Fresno County Jail on charges of burglary and drug possession and his bail has been set at $66,000. Carrillo faces burglary charges and his bail is set at $63,000. Anyone with information about the incident is asked to call the Fresno County Sheriff's Department.